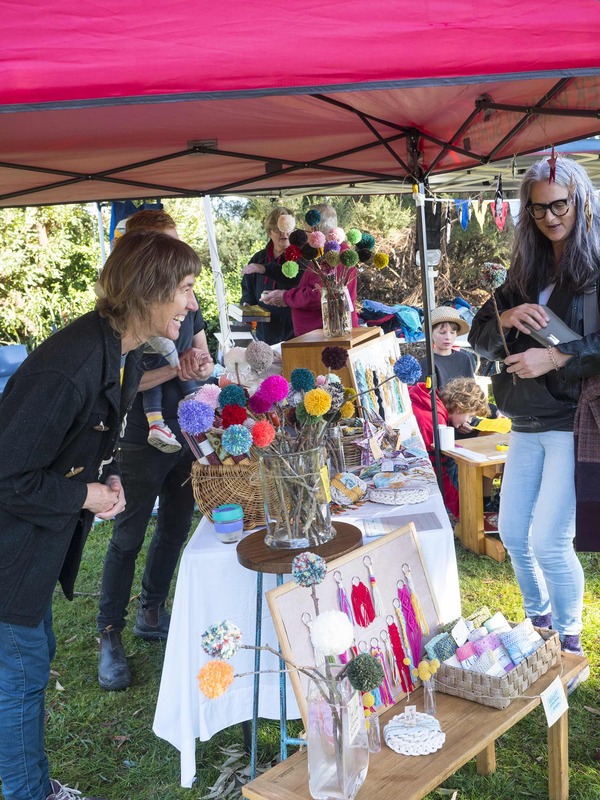 The Fish Creek Tea Cosy Committee and Community are still bubbling with pleasure over the wonderful response to the 2018 Festival held between 19 and 27 May. The nine day program saw Fish Creek alive with visitors from near and far including interstate and overseas. Like the our visitors, the 183 entries to the Tea Cosy Competition also came from near and far. 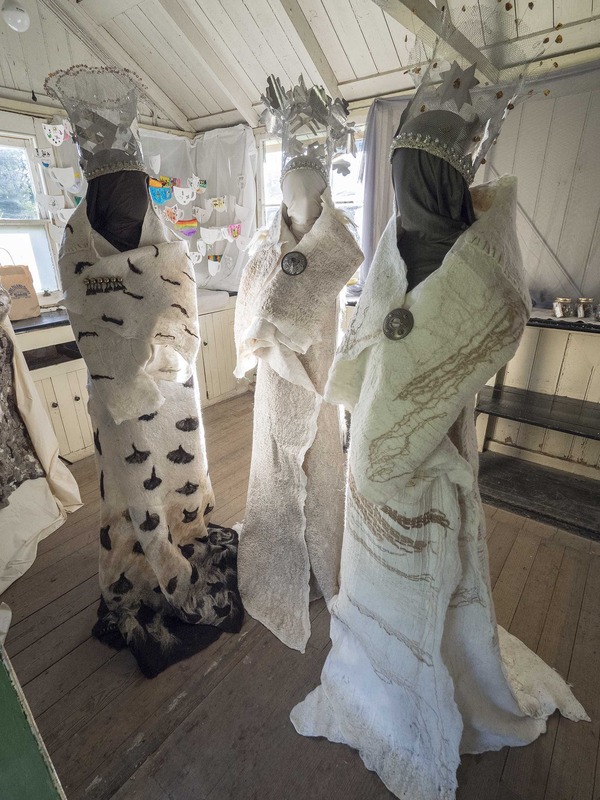 Judged by the Tea Cosy Queen, Loani Prior and Fish Creek’s own Heather Gibson (a former CWA judge) the cosies showcased the stunning skills and imagination of the entrants. Check out the full list of prize winners. The diverse program of events provided something for everyone regardless of age. 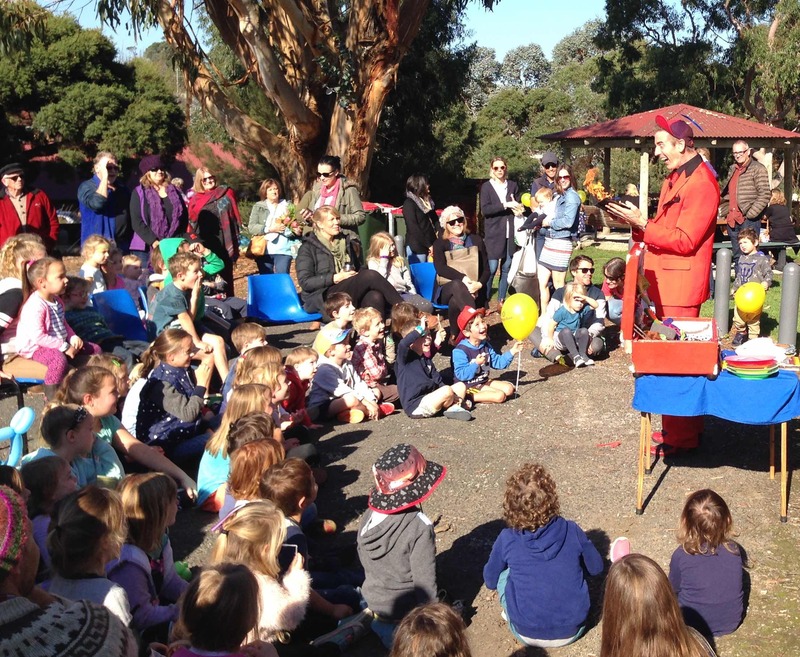 Arts, crafts, theatre, music, food and of course our highlight event – the Bendigo Bank Market Day. This was a real treat to attend with over 35 market stalls, four bands, vintage and classic cars, a magician and…puppetry! From small children to grandparents – feet were tapping, hands were clapping and family fun prevailed. 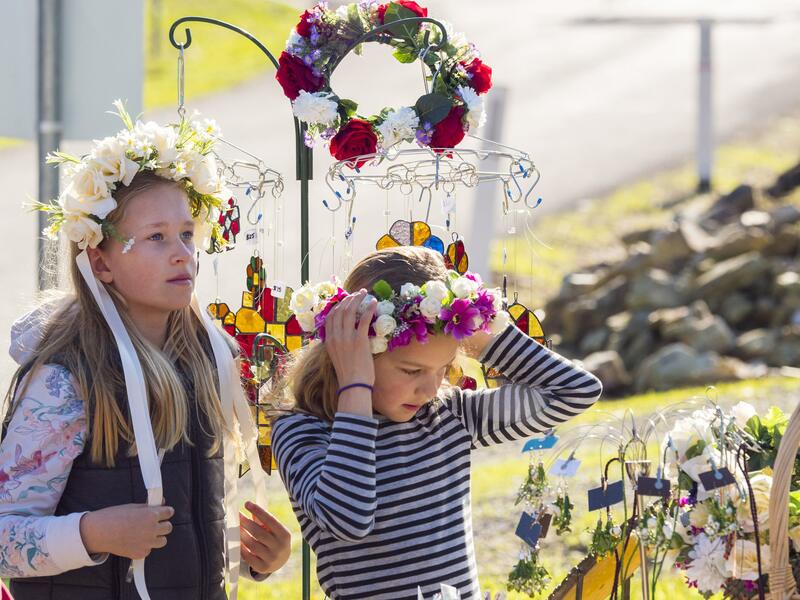 The sun shone, the town looked amazing and the staff in galleries, shops and eateries were run off their feet as the crowds flocked to join in the fun of this quirky (not so) little festival. 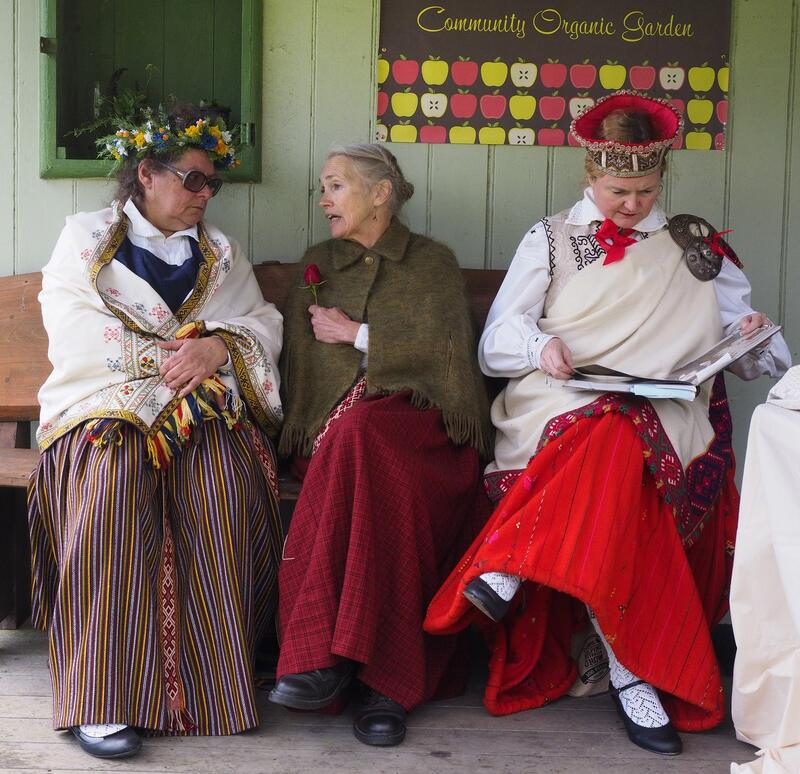 The closing night dinner hosted by the Fish Creek Community Garden saw the serving of a most delicious dinner of locally sourced and indigenous foods. 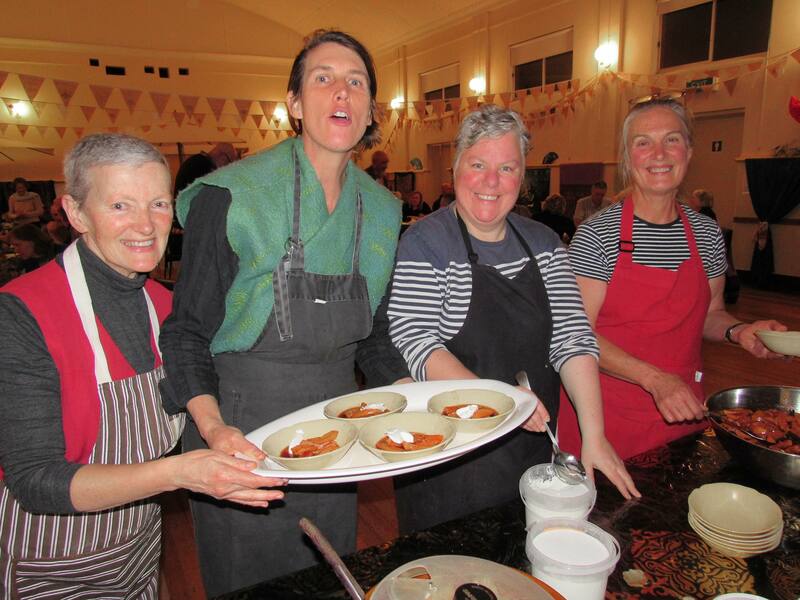 The main course of local Rock Flathead accompanied by finger limes was enjoyed by all in attendance, as was the talk by Bruce Pascoe on Indigenous agricultural practices. South Gippsland Shire Council, Bendigo Bank, The London Drum, Latvian Community, Fish Creek Hotel, Ahern’s Fruit Market, South Gippsland Hospital Community Health, Toora Lions Club, Fish Creek Community Garden, CWA, Friends of Corner Inlet Libraries, Prom Coast Arts Council, Dance 101, Gibson’s, Loani Prior, Bella Ciao, Kook’s Catering, Fish Creek Primary School Grade 6 (and their helpers), Fish Creek Bowls Club, Tennis Club and Football/Netball Club, Fish Creek CFA, Tammy Logan – Gippsland Unwrapped, Claire Buckland, Megan Vuillerman, Irene Gale, Chris Dickins & Nautilus Theatre, The McCrackens, Blind Cobbler’s Thumb, Invy Horn Jam, The Dirty Stop Outs, Samara Cunningham, Little Wing Puppets and Ron The Clown. A heartfelt thank you also to our Tea Cosy Exhibition volunteers. What a job you had this festival. You juggled visitors, sales of tea cosies and merchandise and kept smiling. We so appreciate how you undertook these tasks. Special mention to the good fairies and elves who turned out to help set up and/or pack up the festival. What would we have done without you? Who would have thought the humble tea cosy would be so popular? Who would have thought Fish Creek with its small population could so professionally run the diversity of events on offer? Congratulations Fish Creek, as one visitor wrote in the comments book – you rock! 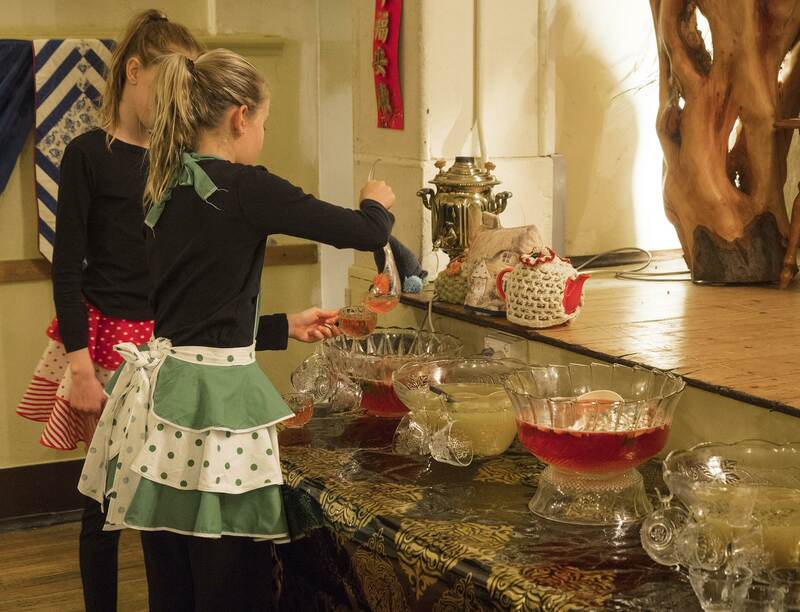 Fish Creek was certainly buzzing this past weekend for the opening of the Tea Cosy Festival. 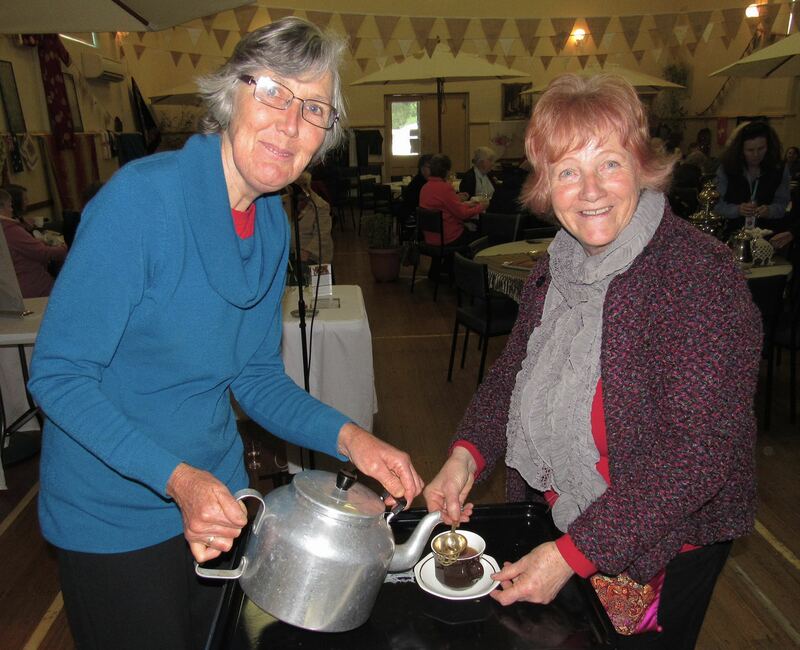 Loani Prior and Heather Gibson judged the Tea Cosy Competition entries and the Exhibition attracted record crowds as locals and visitors flocked to Fishy to see the amazing cosy creations (including living cosies made from plants!). On Saturday, Loani did a ‘show and tell’ demo of some of her favourite tea cosy creations as well as a Knit and Natter, and on Sunday she ran a tea cosy workshop where some intensive creativity happened. Saturday afternoon in the Fishy Hall was spent serving what seemed to be a million Devonshire Teas, and Sunday afternoon Bella Ciao played up a storm for the Festival High Tea. There was singing, dancing and, at one point, a conga line. And the roof didn’t leak! All up, we were blown away by the number of people who came to Fish Creek in search of the crafty and creative, as well as a welcoming cup of tea and some great music. 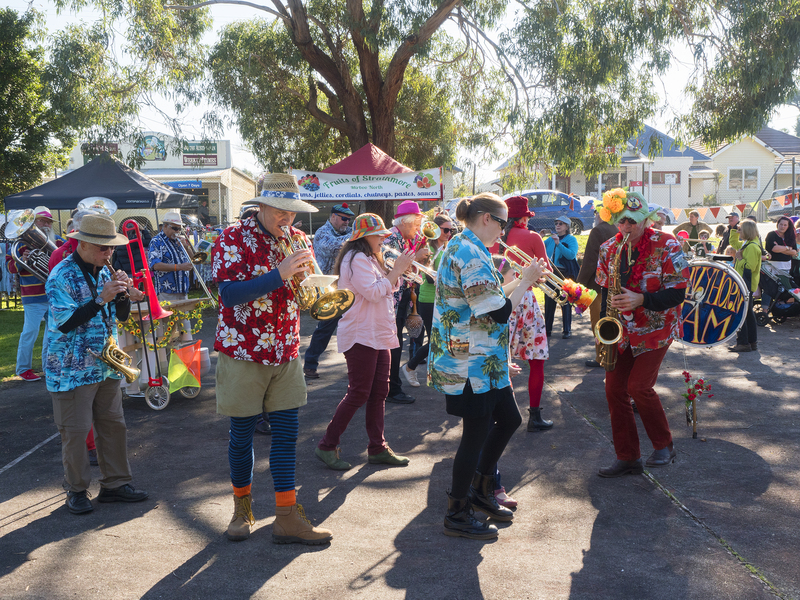 Check out the Festival Program page for more info about the events on throughout the week, heading into the final weekend and the Bendigo Bank Market Day and Closing Night Dinner.